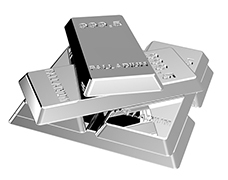 For more than a year, you must have heard hundreds of analysts arguing that investors were moving money into precious metals and that global uncertainty would push these metals higher. Well, that hasn’t happened. If we look back in time, periods of economic concern do not always translate into higher rising precious metals price. Furthermore, the market is just fine in spite of all the economic news that keep coming up talking about global economic concerns. Market indexes such as the Dow Jones Industrial Average and the S&P 500 recently made all-times high and that is certainly not a sign of economic difficulty. It at least shows that investors (those that make prices move) are not that pessimistic about the economy.